Julia Aimers (BA Rec Admin, Certified Exercise Physiologist) is a NCCP Level 1 Triathlon Coach and Level 2 Technical Road Cycling coach. 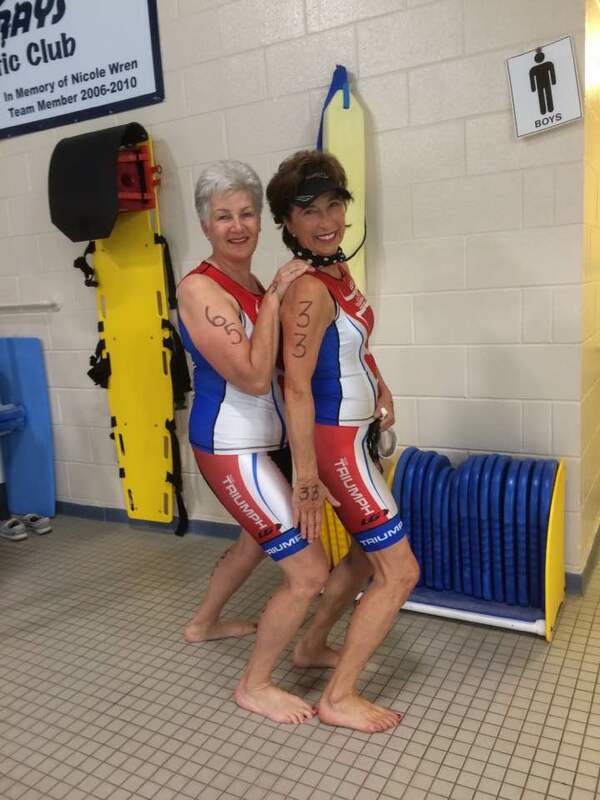 She has completed her NCCP Swim Coaching course and is an Ottawa, Ontario based professional triathlon coach who uses the Total Immersion ™ approach to swimming. Julia earned the highest designation in fitness testing and personal fitness coaching in 1990 as a Certified Exercise Physiologist with the Canadian Society for Exercise Physiology. Julia’s many years of sport encouraged her to realize that Yoga is an important part of the mix so she did her 200 hr Yoga Alliance Teacher Training and specializes in teaching Yoga for athletes. 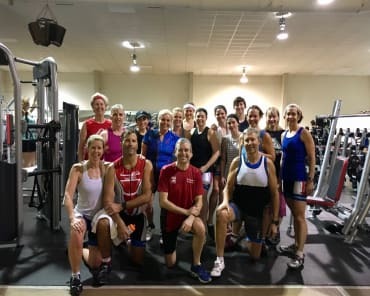 Julia uses Training Peaks to create awesome programs which have trained her athletes to achieve their personal bests and some have even qualified for Kona and Boston. Being stagnant is certainly not in Julia's vocabulary! You will constantly see her zooming off to get updated at exercise physiology conferences, swimming, cycling and running courses and Training Peaks University and their coaching summits. Being a scientist, Julia is always curious about the latest research in the field and reporting back her findings to her athletes. In May of 2011, Julia took the 3-day certification course on The Prevention of Running Injuries with Blaise Dubois of The Running Clinic. This course qualifies her to teach safe running techniques using minimalist running shoes or barefoot running. She was the Fitness Director at the Ottawa Athletic Club for nine years and then launched on her own to start Team Triumph as partner with the OAC. As a Gold medalist in the 1979 Pan-American Games in badminton, Julia has always understood the importance of striving to achieve your personal best. 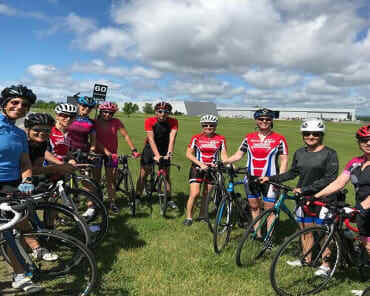 Since 1995 her company has provided a 100 member plus strong triathlon club, corporate fitness contracts to local companies, triathlon coaching and personal training throughout Ottawa. Julia is currently competitive in triathlons, running and bike time trials. In 2016 Julia receives an Honourable Mention as Triathlon Ontario's Coach of the Year. Also in 2016 she was awarded the Dave Maskell BUILDER'S AWARD - in recognition of outstanding service to the national capital region's endurance community. After Julia's dear friend and swim coach mentor, Mike Collingwood passed away in December 2006, in memory of Mike, Julia along with Marc Roy of Sportstats became the volunteer race directors for the Mike Collingwood Meech Lake Triathlon - http://www.meechlaketri.ca/. 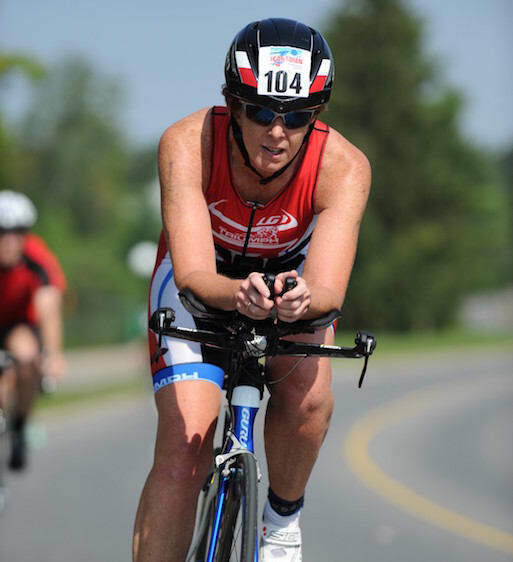 Please consider racing or supporting this local triathlon for the Ottawa Heart Institute.